My name is Mathias Zollbrecht, I am born on the 13.03.1986 in Fürstenfeldbruck and am currently studying at the Technical University of Munich mechanical engineering to reach my masters degree. After High School in summer 2006 I was in the Süddeutschen Gleitschirmschule (Southern-German Paragliding School) in Unterwössen in training and received my flying license for single-seated paraglider in 2007. 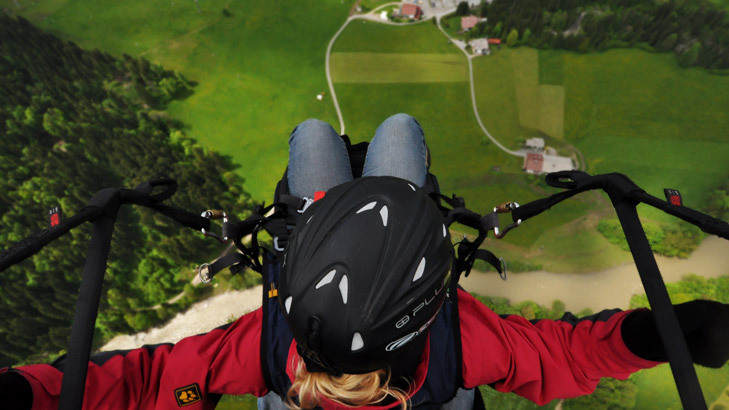 Until the year 2010 I accomplished more than 500 flights mainly in Kössen, Austria. In the summer of 2010 I additionally attained my tandem license with a flight instructor of the Deutscher Hängegleiter Verband (DHV, German Hanglider Confederation). Altogether I accomplished more than 1000 solo flight and 250 flights with passengers.